In the past few weeks, I’ve been reflecting on an important part of my life that has taught me some lessons I wanted to share with you. Something happened to me on my son Toby’s second birthday. We had a party for him with about 15 other little kids aged from about 2 to 5. It was a great afternoon. Some of the kids played together, while others played on their own. And there in the middle of it all was Toby, riding his little red-and-yellow car around the room and climbing up his climbing steps, just like all the other kids — doing his own thing but obviously feeling connected to them. Except that he is a bit different. You see, Toby was born with Down Syndrome. 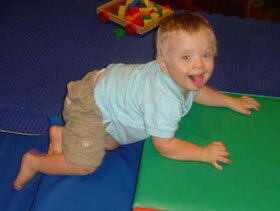 Some children with Down Syndrome have serious physical disabilities and developmental problems. We’re fortunate because Toby is physically healthy except for some low muscle tone. And he learns and does things more slowly than other kids. But what hit me during his party was how naturally he seemed to fit in. Although he’s a little boy who’s “different,” on his birthday he was just one of the other kids, and they treated him like anyone else, just as Michelle and I do. The party made me think about a lot of things — for example, how we all have expectations about how life is going to be, and what happens when things don’t turn out the way we thought they would. When Toby was born and we discovered that he had Down Syndrome, I suppose it was natural for us to feel overwhelmed at first. Although Toby is different, he’s also just like every little kid before they start learning to spend most of their time in the past or the future the way we do as adults. At his party, he wasn’t wondering when it would be over or what would happen next. He was just in the present moment with the other kids — riding around, eating his cake, enjoying watching them. So one of the most important things I’ve learned is that when I’m with him, I have to let go of my other concerns and just be there. I really value being with him — seeing his delights, his upsets, how he sees things and interacts with them — and I’ve realized how much I miss if I’m not in the present moment, too. Because Toby does things more slowly, I have to listen and pay close attention to him. If I start speeding on ahead, the connection between us gets lost. So he has taught me to focus and slow down. Remember the “good old days” before we all got used to the idea that we should be multitasking at every moment? Well, Toby can’t multitask. He does one thing at a time, and more slowly than other kids, but he does everything with total focus. That’s been such a valuable lesson for me. Toby has also taught me to not let things get to me so much. He seldom gets upset, he laughs at everything, and he basically loves everyone he meets. He somehow seems to intuitively respond to them as whole human beings because he’s too young to do any judging. Toby’s openness and lack of judgment has made me think a lot about what we tend to think of as “normal” — how our expectations and preconceptions sometimes blind us to what’s there in front of us. I know that sometimes other people may see that Toby looks “different” and perceive him as not being “capable,” when in a lot of ways he just does things more slowly. But people who don’t know him may judge him as “less than…,” rather than someone with special, unique qualities. This is ironic because aren’t all of us vulnerable to being judged as “less than…” in some area? After all, as human beings we all have our “imperfections.” We want other people to be open to learning who we are, just as I want to be open to learning who Toby is, and I hope that other people will be open to that, too. I guess the main point I want to make is, maybe it’s time for us to let go of ways of thinking about how we view the world and other people that may be holding us back. At his birthday party, Toby was just like all the other kids, and also as unique as they all were, and as we all are. Maybe if we can learn from him how to be a little more in the moment, with more patience and openness, and to recognize that we’re just like everyone else — and also uniquely ourselves — we’ll find it easier to reconnect with the best parts of ourselves as human beings. In that way, maybe Toby is the way we all ideally could be. If you’ve been a subscriber of mine for some time now, you probably know about the article I wrote about my son Toby’s second birthday called “Lessons From Toby”. Well, I just finished writing a new book that was inspired by the immense reaction to that article about the life wisdom I’ve gleaned from Toby. It was shortly after his second birthday that I decided to write the “Lessons From Toby” article because of the profound impact that he has had on me and my ability to live in the moment. “Thanks for bringing things into perspective and reminding me to view things with an open heart as Toby does. Also a wonderful lesson for all of us who are constantly pushed to do more in 24 hours than ever before. Good to hear from you and how generous of you to share this with us”. “Toby is the true ‘guru’…his wisdom about slowing down to focus is more applicable as each day passes”. “God bless you Toby for being the special person you are and for teaching us all such valuable lessons! You are much loved by many”. “Thank you for helping us all be better people and to treat each other a little more humanely”. “Thank you, Toby – thanks for helping us focus on what truly is important in life…and realizing that it’s not what we tend to spend most of our time on. I would also like to thank you, Ari, for sharing your family with us”. And those are just a few of the hundreds of responses that have come in ever since I sent out that article. On Toby’s fourth birthday, I felt inspired to send out the article again to my subscribers at the beginning of the new year, because I realized that Toby’s wisdom is timeless, and everyone could probably use a reminder of what’s most important in life. Well, I was so inspired by how much the “Lessons From Toby” article meant to all of my clients and subscribers, I decided to sit down and write 52 life lessons inspired by all the comments and emails from the reactions to the article. I combed through hundreds of them, looked for the “wisdom nuggets,” and then wrote 52 “life lessons” that I felt Toby would write one day after living more years in his life. And that’s how this book came to be. This isn’t a “how to” book, it’s a “how to be” book. Many of you have already ordered copies of the book for your friends, family, and clients – thank you so much for that. This little book has changed lives, and there’s no reason why it can’t change yours. (selfies plus blah blah blah talk…) and scams, seems everyone has an that golden nugget that is going to make you filthy rich. Thank you Ari you truly are a gentleman and an inspiration. And hopefully one day I will get to Sydney and meet you in person to acknowledge that. I adore the book! Toby is an inspiration to all – because you, Ari, have shared him with us, so that we may know (certainly a part of ) him. Thank You! Hi Ari, Toby & Family. What a beautiful connection of love shared between you all. As I read through your email and Lessons From Toby… something beautiful shone out about your son. Toby is born with the purest form of empathy, all natural as we are all meant to be, but for some reason many grow from birth into adulthood and the innate empathy becomes suppressed for varying reasons (conditioning, upbringing, life experiences etc). With Toby however his empathy will always remain pure, untainted and unwavering – as it is meant to be. Empathy teaches us how to be connected to the present moment and whatever is happening in the moment, but as you highlighted many of us are either ahead of ourselves, mapping out the future and/or caught up in the past, and all to often, not fully present, one may ponder how is it possible to not be either or?! Toby shows us how it is possible through living it in every step he takes, he is capable of being connected without becoming entangled. When our empathy is flowing, we are aware of our surroundings, sound, sight, touch, taste, smell and what some call the sixth sense that is where empathy reigns supreme – where we are acutely attuned to that which goes beyond the 5 senses, our intuitive self, where the highest vibrations (energy) of empathy dwell – love, joy, happiness, peace, inner contentment and being present all equates to being balanced on all levels. Effortless balance. Toby is the absolute finest in setting the example on how best we (humanity) can strive to be and if we could even become half of what he IS, humanity would be incredibly blessed and the future for many generations to come would be as it was intended long ago. May we all continue to learn what Toby teaches us – that our full potential lies within Toby and his Mum & Dad’s ability to interpret his immaculate teachings. What a little doll! He has the best smile ever. Makes me laugh. 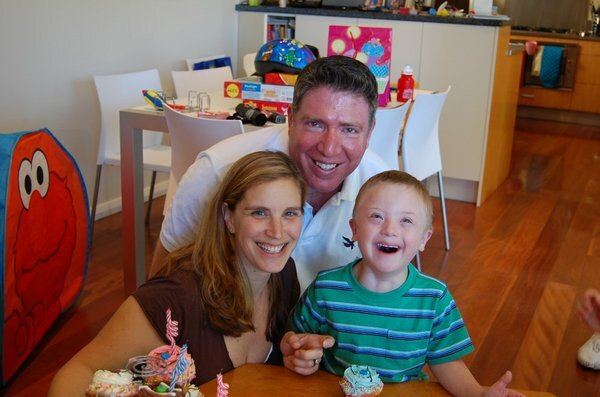 I believe that G-d matches special children with special parents, and really, all children are special and unique. Thanks for sharing your beautiful family with us. Thank you for sharing Toby’s story that was so nice of you and you are right so much to learn in life but leaving in the present is a very valuable lesson I often remind myself when I start drifting back not to look back because I’m not going that way stay connected to what is now. Because the past does not equal the future or the NOW. Wow some important lessons we should keep close at hand. Congratulations on your beautiful family, and thanks for your valuable contribution. You have a beautiful family and I’m also a Dad with a special child and feel blessed to be! Iv’e often wondered how us as humans have gotten the perception of someone being different so turned around. I believe the special people in this world are the lucky one’s as far as not having hate, judgemnet and cruility in there hearts. What a world we would live in if everyone was special and had nothing but love, smiles and content with the simple act of a hug to complete each and every waking moment of there lives??? I don’t feel sorry or take pity on the special people in this world, I envey them! We should take pity on those who are passing life up by living in the past or waiting on something in the future that may never be. You are so correct in saying ” Be in the moment” because someday we will look up and the moment will be gone. Thanks for all your knowledge. It’s changing my life!!! open up my mind in looking at challenges in a different perspective. Cheers and god bless! But there is one thing that I can you and Toby for is that although I have been in sales for over 30 years, a few businesses but somehow never really made real money, things are starting to change! Myself and the majority of people in sales do hate making cold calls. But I have been starting to work your approach and YES, not only results or starting, but I don’t feel like crap when a prospect thanks me for having me lose is time. Don’t get me wrong, I am an electronic document management «specialist», been in this business that I very honestly love, my business’s mission is to progressively eliminate paper in companies and I do take this seriously as in Montreal nobody wishes to compete with me as I really know what I am talking about, but the shear thought of having to do some cold calls was (was is the important tense of the verb) a major slowdown for me. Well not any more! Not only, it doesn’t make me feel like cr__ although I can’t say that I adore it, but it doesn’t hurt as it did. I can approach them on the phone in a MUCH MORE natural way, easy and simply go straight ball and ask explain to them that I am looking for companies who have problem in managing the load of paper and that I am looking to help these companies in fixing these problems. They generally freeze and then I come back to them explaining to them that I don’t sell appointments but solutions that will meet their budget and so on and that I don’t want to make them lose their time (and in the same time, don’t want to lose MY TIME) and it works just fine. No 100% score, but the people that I meet expect afterwards the same honesty and I deliver and it becomes so easy and comfortable than before. Please keep up the work and train of thought. PS: I followed DK a little while, but sorry, not my piece of cake. I am not looking to become rich as besides the money I enjoy a fantastic life with my wife, 2 daughters and my grandson that I adore, that little man opened a door in my heart that I didn’t know existed. Toby’s natural way of focusing in the “now” is a wonderful way to be. I find that as I get older, I am forced to accept the “now” and deal with life as it presents itself so I can better meet the challenges of the day. What a beautiful message, but so true and yet how I forget the true beauty in life sometime. Thank you Toby for allowing God to use you to reach many that’s blind to the true meaning of life. Thanks for helping me to be a better person. God bless and Be Blessed! The simplicity of the messages is the best part. It makes you stop, think and breathe. Thank you for sharing a beautiful message of how we can learn to live more slowly, more lovingly, more openly as your dear little Toby does. In the last ten years of my teaching career I met more students with special needs who were a great source of inspiration for classmates as well as teachers. We need more Tobies and more Ari and Mrs. Galpers in our world. Powerful insights. God is sovereign and kind of you Ari to share this. With your positive attitude, your are affecting many. I feel guilt when i find myself judging. Be blessed and may Toby live to be a blessing to many. I’ve read your article for the second year in a row. I think I get more out of it every time I read it. Thank you, Toby, for reminding us all of how special everyday is!!! Years ago you would have been told to put Toby “away”. There would be no love, no caring, no accepting, but you chose the best, not only for Toby but for yourselves. Toby is a gift, an exsample of what we have lost in our mad world. I’ve not red your book or meet Toby but I have had the pleasure of knowing people like Toby. If we could all learn to love like him and not infect people like him with hate and distrust the world will be a better place. Merry Christmas Toby and Happy birthday. Thank you Ari for sharing this story. I am reminded of a conversation I had with my daughter about the Meaning of Life and after reflection said for me it has always meant leaving this life a better person and I know today, Toby’s story has been an important compass. Brilliant that you share this with us Ari. Toby’s situation highlights what a bunch of hypocrites we can all be: We’re all on the look out for “something different”… and when it arrives what do we do? We look for ways to judge what we perceive to be negative about it. For his attitude alone, Toby has much more wisdom than most of the rest of us. Long may it continue and may all his friends and family be touched for the better by it. I just wanted to acknowledge you for sharing your story. Toby is a fine example of how us as Spirit’s really should live our life in the present moments. Because I believe this is where all our opportunities in life sit… right in front of us. You are all a success and thank you for bringing us Toby into this universe, he is another magnificent teacher that will teach us not to judge, but just focus and be present. We are all the same , only difference about us is our physical shell identity. Thank for the inspiring story on Toby. You have a beautiful family and just seeing Toby smile filled me with such joy and smiles too!! Ari, Thank you so much for just being real and sharing! You are such a delight to listen to and a breath of positive energy that I can share with my team and pass along. Many blessing to you and your family. 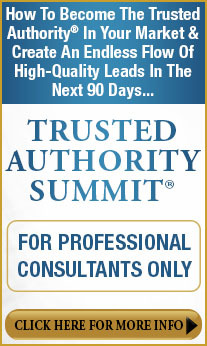 I had received this email prior to my first 2009 Business Convention in Anaheim. I didn’t take the time to read it. I am thankful that I took the time to read it today. I appreciate all the emails you continue to send even though I have yet to sign up for your program. This truly speaks volumes of what you preach. We can all definitely take something of value from the lessons you just shared. Have a blessed 2009. Ari, the birthday story is moving and joyful at the same time. My heart sings when I remember to be in the present moment and let go of judgments. It think I will practice that today. Many blessings! When I saw this last year, I didn’t pay it as much attention as this year. These lessons are powerful and timeless. Thank you for sharing them again at a time when I was ready to receive them. Dear Mr. & Mrs Galper, Very nice of you to remind all of us of the key lessons that far surpass the concerns most of us feel dominate our lives. Dear Ari, Thanks for sharing this awesome insight. 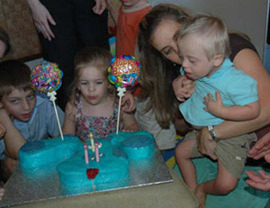 I had a Downs sister, Becky, who was taken to be with the Lord two years ago aged 31. Her intelligence and ability to judge peoples motives and character was unrivalled by anyone I know. Everything you write is so true and I am sure that you will have many years of joy and teaching from Toby and prove Gods blessing. 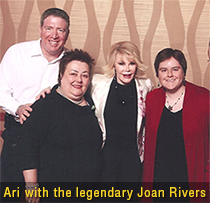 Nice article Ari…… I am touched with the things you mentioned. I learned a lot with the article you framed about Tobby. You enjoy your new year with family and Friends and keep rocking to your fullest. I am now more or less unemployed – my businesses flopped this year. No doubt I join a queue of many people in the UK who feel they have had the worst year ever (financially and in business) and to make matters worse I have inherited a very low tolerance level with most people who I come across on a daily basis. I think that if I thought and did things like Toby I wouldn’t feel like going around and shouting at everyone that annoys me – most people to be honest. Instead, I would treat each person with the respect they deserve and which like me they are not receiving. Good on your Toby for pointing this out to us grown ups – it takes kids to point out the obvious doesn’t it. Also, thanks Ari, for all your help too in 2008. Have a wonderful Christmas and happy New Years! I wish Toby a healthy long life. Every child is unique in a particular way, When I read this article all my problems seem like nothing. I Pray for Toby. I hope so many people will pray for Toby and more specially for these special children and hope that one day God will hear all these prayers and cure this. Wish you a happy prosperous year and hope to see Toby’s 6th year Birthday celebrations with more photographs. Thank you Ari, for sharing your experience and lessons. I needed to hear this today! I can relate to the feelings of reality, whats important and what really matters in the present, during humbling times. Toby is so blessed to have you as a father and he is your miracle. The feelings you felt at your particular moment must of felt so great, that you chose to carry that message to help others in their every day life and I for one am feeling your message. When times get tough, its easy to not focus on the present and not realise until confronted and your timing is very helpful with the holidays coming. A few years ago on fathers day,my car was hit head on by an oncoming Pickup truck. I woke up a bit later and that feeling of “all my problems” was gone! Debt didn’t matter Every thing that ever bothered me before was nothing. How nice it could be if I could hold on to that feeling that its all small stuff, but I am human and need to be reminded. In the midst of that, my six year old daughter Caitlin was in the car with me and she passed away. I have since learned a lot about life and how to maintain, to be responsible and productive, but also need messages like yours to remind me to stay in the now. Thank you, and Happy Holidays, from the Hahn family & the crew at 1-800-Pik-a-biz. I also have a disabled son and he has also taught me so much. 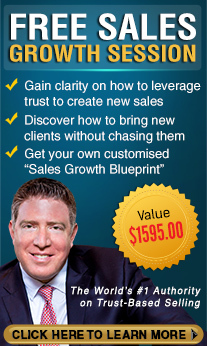 I have been involved in sales for 20+ years and I am still learning. I look forward to your e-mails. I hope Toby has a wonderful birthday this year. My son is now 15 and we were told he would never meet his 2nd birthday. Children can teach us so much. Did Freud call “the way we view the World-Weltanschauung”?.We are probably all guilty of trying to manage the present.We are probably made to enjoy things.Its just the Worlds worries get to us,we cry!Money,money! I have been allowing difficulties that are out of my control to overwhelm me. Thank you for sharing and reminding me what is truly important and how to live in the present with what I have. Many blessings to you and your family. 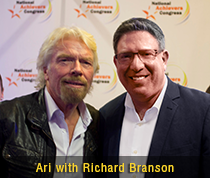 Dear Ari, there are few people I respect more in the business world than you. I know this sounds too bold, but I really feel you can change the business world, and the world for that matter. WOW! I have a big lump in my thoat and tears in my eyes. After going through our ordeal, I can honestly say you are right on target. Or moreover, Toby is right on target! My son is waiting in bed for a cuddle and after this the computer is off and I am also going to slow down with him.I miss you guys! Thank you Ari for sharing your thoughts and feelings on Toby and the very important life lessons he is teaching you. As the working mother of two growing boys (now 5 and 7), wife, friend and active member of our community, it seems my life is in constant motion. Your words remind and inspire me to slow down, enjoy the present, and to focus on that which is most important to me, my family. These are all too easy to put to the side when I get busy, and before I even realize it . . . time has flown by and I have missed out. Thanks again for your words of wisdom which have helped to ground me. Hi Ari, I’ve just read your article about your little lad and the lessons he’s taught you and probably all around you. A family friend had a ‘Down’s Syndrome’ baby about 23 years ago now. They were devastated and couldn’t see past having him adopted at the time. After a few weeks they came round to the idea of keeping him because he WAS such a loving, needy baby. He’s changed the lives of all of his immediate family for the better, (if that was ever possible), and he continues to cheer up all who come in contact with him. He works in the hotel industry at present, and although not totally independant, he lives a very fulfilling life of his own while lifting other people’s spirits all around him. I’m sure Toby has a lot more lessons for you up his sleeve yet. You’re truly blessed, though most won’t realise why. How lucky you are to have been blessed by such a wonderful son, and wonderful family! And how very blessed Toby is to have been given a Dad who can pass the wisdom he brings to the world on to people who need to hear it. Thank you for sharing his wisdom, and I thank God that He has given you the heart to understand it. 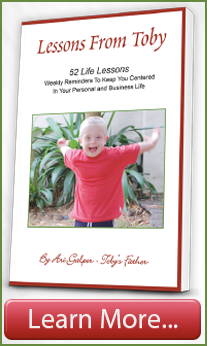 I really enjoyed your blog about your son, Toby, and the 52 Life Lessons. You talked about slowing down and living in the moment – isn’t that the truth! I preach about calming down because society is too fast, too instant and we miss the truly important details that happen between the busyness of life. Your son is very special and has given you very valuable gifts but he is lucky to have you, your wife and family as well. I have heard,read over and over that if you live in the past or worry about the future you will be paralyzed in the present. One comment from an American country singer, Shania Twain (don’t know if you have ever heard of her ? (tongue in cheek )) on a DVD we were watching has become a motto in life for me (don’t know if she intended this, but boy is it so powerful if you think about it) “It’s not not getting what you want, it;’s wanting what you’ve got”. Enjoy your kids, they are gifts and they grow so fast so you should take time (and pictures of them) as often as you can because those special moments are only there once and we tend to forget them so quickly. Keep up your good work, both at home and in your business, you are “doin’ good”. Thank you so much for sharing Toby’s lessons. Each of Toby’s lessons are more applicable today to my business than ever before (especially the “slow down and focus” lesson!). Thank you so much for all you give of yourself throughout the year. Especially though for sharing your family and Toby’s wisdom. I copied the one from two years ago just for my own collection and will also copy this one. I have two grandchidren of my own now aged 2 & 5, and they can teach us so much if we are open to the lessons. 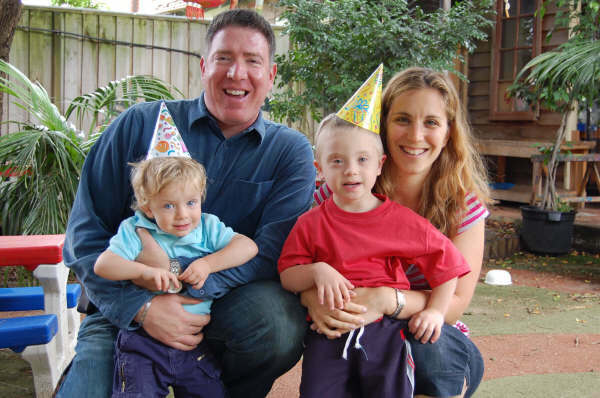 I love the picture of you and your family but the one of Toby with his arms open wide and that beautiful, huge smile of his really spoke to me; “open up and expect great things”! I wish you and your family a 2008 filled with Love, Peace, Good Health, Laughter and Prosperity !!! Palm Springs, Ca. Classic Homes, Inc. I read “Toby’s Lessons” today and thank you Ari for sharing. It made me think about my my 16 month old grandson and like yourself with Toby, I really value being with him. But, I realize now that I too, must slow down and focus more because if I don’t, I am missing the moment. Happy New Year! Thank you for the wonderful article about Toby. It is certainly an inspiration and reminded me to keep life in perspective. Wishing you and your family a fabulous New Year. Carpe Diem! Ari: Thanks for bringing things into perspective and reminding me to view things with an open heart as Toby does. Also a wonderful lesson for all of us who are constantly pushed to do more in 24 hours than ever before. Good to hear from you and how generous of you to share this with us. My best to you and your family. What a wonderful story and just what I think we all needed. Being in the moment…what a wonderful place to be. I truely relate to the blessing of being there because of Justin, my four year old grandson. I am so blessed with this wonderful four year who has Apert Syndrome. What a shock when he was born! We were just crushed, but as days, weeks and months and now years went by we realized so quickly what a blessing this sweet child was and is. Seeing him when he was 13 months old with casts on each arm from arm pits down covering his surgiclly separated fingers and at the same time on his legs from thighs down and covering his separated toes he was able to somehow figure out how he could get up on those casted feet so he could look out a low kitchen window was such a inspiration. He is mentally so bright and after 3 major surgeries during the first 18 months of his life, one head surgery and the 2 hand and feet surgeries, it is hard to believe we were so saddened in the beginning. Blessings do come in all forms. He is the brightest spot to us all and inspires us to be kinder and more understinding in our everyday lives. He tackles everything, just as most 4 year olds do…sometimes doesn’t do it as well as others at first, but continues to work at it and usually gets it accomplished in a fantastic way … his way! Aren’t we all blessed to have had you share with us Toby’s timeless wisdom. Thanks,it is the most important message I received for this new year. ‘Dont be so worreid about the past, so suspecious about the future, live the present. Because only the present can make a difference in life’. Thanks again. MERRY CHRISTMAS AND HAPPY NEW YEAR. Thanks for sharing, thats wisdom we can all benefit from! Thanks for sharing Toby and your family with us. We can learn much through Toby and the truths you shared were precious. Have a great Christmas and we look forward to continue to stay in touch with you in 2008. Precious truths, indeed. Thanks for sharing, Ari… and thanks for being exactly who you were designed to be in this world, Toby! What a gift. Ari has a great outlook. 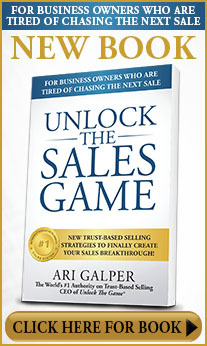 I expect Toby would be higher than Ari as a Sales Guru, in less than 2 decades. Because, Slowing down of physical moves might enable him pacing up of his mental moves. All the best. I am compelled to take the time to thank you (in writing) for sharing this inspirational story again. Your (Toby’s) story was moving 2 years ago, and is for me as inspiring, and perhaps even more so, today. I appreciate the time you take to share these lessons, and am looking forward to your next blog entry. God bless you Toby for being the special person you are and for teaching us all such valuable lessons! You are much loved by many. 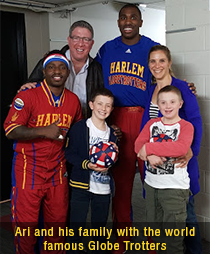 Ari, thanks for sharing your family with us. Toby and Nathan are fortunate to have loving parents. Children are wondeful blessings from God! Best wishes always! "There's a famous story by the Chazon Ish, a pious man and great Torah (Bible) scholar, who lived in Israel about thirty five years ago. Bedridden at the end of his life, he studied and even taught from his bed. One day, when a married couple and their child who had Down's syndrome came for a blessing, the Chazon Ish stood up as they entered. After the family left, his startled students asked whether he had stood up to honor the parents for their exhausting efforts with the child. The Chazon Ish said no – he had stood to honor the child. The Chazon Ish's reply was an eye-opener. Jewish tradition teaches us that almost all of us alive today have been here before in a different incarnation. We return to this world in order to complete our missions. Each time we return, we're given what we need – intellect, communal support, health, money – to finish our task. 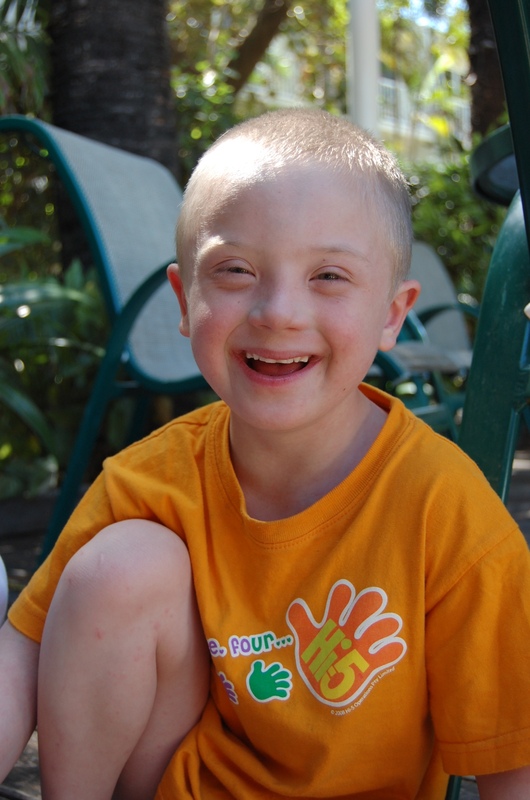 If a person such as a disabled child is born with limited resources, it means he has little to accomplish. In his previous life, he all but accomplished what his soul had set out to do in the first place. "That is why I stood," said the Chazon Ish." Keep growing, you’re my man! What a wonderful article this is. There is so much power in these concepts. As children, we already have these lessons within us, as adults, we relinquish them and spend too much time living in the past or in the future and driven by fears that all too frequently manifest in people as anger, hate or arrogance. Lessons from Toby is a powerful reminder that we must claim this power back for it is everyone’s to claim. We only need decide. Great article and great lessons! Have a healthy and prosperous New Year! I think you are very special little boy with a lot to offer and have a wonderfull family shame i live in the UK have a very happy chirstmas and keep smiling. 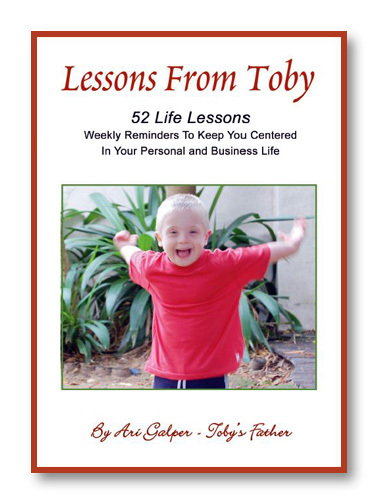 Thank you for sharing these lessons from TOBY with us.It will definetly enhance the life of many of us.To TOBY,you are God’s miracle keep well. You and your wife are TRULY BLESSED!!!! Enjoy each day Toby and Nathan and always remember that you are loved so unconditionally by your parents. We will keep you and your family in our prayers. Thank you Toby – thanks for helping us focus on what truly is important in life… and realizing that it’s not what we tend to spend most of our time on. I would also like to thank you, Ari, for “sharing” your family with us. My heart goes with Toby. Children are born great teachers. We adults seldom notice the greatmess. We tend to teach them the wrong ways by dos and donts. The characteristics of a child is total absence of inhibitions. Lots to learn from them. Appreciate sharing Toby’s wisdom to us. I guess the problem with us “normal” people is that we judge one another too fast, and most often see the negative aspects of others. Many thanks to Ari for sharing Toby’s story, becuase I feel humbled as such. The fact that you have shared your beautiful and priceles Toby Experiences with all is worthy of immediate and much respect. Thanks fro my wife as well. 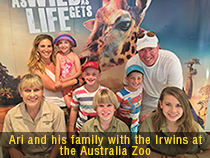 He was initially diagnosed HDD which allowed us to go through so much, accepting and adjusting to our beautiful sons lige changes – and knowing he would be quite different from kids his age as he grew up. On the contrary, when we moved to Canada, the Sick Kids Hospital in Tororno after running a series of new tests, dispelled the ADHD diagnosed earlier by the specialists in the Middle East and confirmed his current condition. You are right – Hamza – althjough 22 and half now, is a beautiful kid. I learned a good lesson from the Franciscan Nuns, a long time ago. It is: “If you want to live free, go slow, do one thing at a time and do it well.” I think you have the right idea. How true and how beautiful! May God bless you Ari and your family for many years to come. Happy Birthday Toby! May you continue to shine and show the rest of us how to truly live. Thank you Toby for reminding me that it is not only OK to be me, the unique me, but that it is imperetive that I honour the uniqueness that I am. You see what you are teaching me is that one never knows when one’s uniqueness can have a profound effect on the world around one, just like yours is. I bet you had no idea how much you are giving to the world by just being you. You are making a huge difference to many peoples lives all over the world. Thank you for being Uniquely You. I too have a special needs family member…my younger brother. I feel blessed to have him. He is always happy and loving. Thank goodness for the support systems we’ve created in our country to care for these cases, as in most other developed countries as well. God bless you and your beautiful family Ari, and for also helping others succeed in their own careers. Great 2 see you growing up all handsome and I hope a bit naughty. Hey Ari, that article gave a damn good motivating insight.You are absolutely right when you talk about on focussing one point at a time. In our busy life’s we tend to forget about our present thinking about the future and as you said multitasking. Great msg for a New year and will keep in mind your inputs. Thanks so much for sharing these important lessons with us. These points apply to all of us no matter what our area of specialty. I really needed to hear them again today. Toby, a belated happy birthday! I pray you’ll continue to be a bright light for your family and friends for a long time time. We have much to learn from you my friend. Have a merry Christmas and a wonderful new year! Thank you Toby, for being so wise. You stand to teach all of us the value of humanity just by being. I have spent the better part of my life in fear of being judged, of never living up to expectations. Your life illustrates clearly to me that the only expectations that need to be met are my own. For that, Toby, thank you. Well done Ari for firstly feeling this; and then for writing this; and then for sharing these insights of yours with the world! And well done Toby for being the wonderful little human being that you are; for being a pure example of simplicity and love! Hi Toby,I want to wish you very happiness in your life ,and become a goodman ,Happy Christmas and Happy new year. Thank you! We tend to forget the simple little things in life and it is great to be reminded from time-to-time how to appreciate every moment. Wishing you and yours a Marry Christmas and Healthy, Prosperous 2008! Ps; I just realized that Toby’s birthdate is same as my son’s John, who turned 34 – five days ago. Cheers! As an educator, I spent most of my life working with kids aged 4 – 14 who tend to be very open and honest… like Toby. Recently, when I went into sales, I was encouraged, even “ordered” to give up this way of communicating and “take the lead” and “make the sale”. I am now reconnecting and going back to what I learned from dealing with my students. Be Honest, Be Open. Be Real and good things happen as a result. Thank you for sharing insights learned from Toby. What a beautiful reminder to live fully in the moment and appreciate the little things in life. It is inspiring to hear your father talk about you in such a loving way and through you teach the rest of us adults and parents some quality lessons in life. For myself I will make a more concerted effort to be with my son 100% (both physically, mentally and emotionally) when we are together, work on slowing down over the holiday break, being less judgemental of others and not let things get to me so much. Thanks Toby, have a great life and happy 4th Birthday. The ideas and lessons are very good, as is your story and the way it was presented. You kept it simple, because many people cannot digest it or use it any other way. “Live in the moment.” Expanded – Appreciate life in the moment. Love what is showing up in the moment and pay attention. Treat it as if it really matters, because it does. It is still OK to learn from the past, or to make a plan or have an agenda for the future. Goals are good and healthy, just don’t get attached and let that attachment distract you from what the moment has to offer. Slow down and Focus – Expanded – Every now and then, just stop. Stop and let it all go. Don’t focus on anything, just stop and take it in. Accept everything as being perfect just the way it is. Focus discriminantly and only on positive, empowering stuff – pay attention to what you focus on. If you focus on lack, lack shows up. If you focus on abundance, that shows up. And don’t give up multi-tasking. It can be mastered – those little kids are learning at a very early age how to do it. Cell phones, computers, games, writing, reading, all at once. It is harder for us because we haven’t had that much practice. It can be done well – it’s a skill – so let’s not limit ourselves with limiting thinking. Don’t let things get to you – Expanded – Love what is – really love it. Learn how, if that is not working for you. You can do it. Question your stressful thoughts. Don’t accept anything as the truth, if it creates stress or problems. Learn to do The Work, as presented by Byron Katie. Learn the teachings of the Tao Te Ching. Learn yoga. Train yourself to be and stay “even keel.” It is the most important thing one can do in life. Stop judging – Expanded – People will always judge – you can’t stop that. It is the nature of things. Again, learn how to take your judgments and learn the truth for yourself. Use judging to discover who you are, at every level of your being. Discover that the person you are judging is who you are. Each of us is perfect in our own way, just as Toby is perfect. When we judge the other person and then work on “fixing” them, is where we make our mistakes. When our view of the world is that a person or situation needs to be fixed or controlled by us, we are holding ourselves back. One more – Count your blessings – notice when Toby says “thank you.” He is expressing his gratitude his way, and it may not be the way you want him to, but it is his way. Accept that. Accept that some people cannot even say “thank you,” yet they can still show gratitude. And each time you decide how you are going to show up, you can choose to either bless or curse the situation. By consistently finding something to bless (even if that seems really hard) you can actually reprogram your brain to attract more good to bless, and to be grateful for. 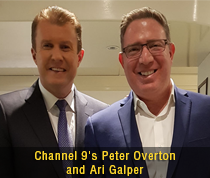 Ari, It has been said that empathy is the only key to successful sales, just by recognizing the miracle you were given with Toby helps me realise that all your advice does truly come from the heart. Toby, you are one good looking fellow…you must look more like Mom! Keep up the good work of learning all life’s lessons so you can keep passing them on…and keep your little brother out of trouble! Ari, very hard to believe it’s been two years since you first introduced Toby to us! I, for one, would like to see this become an annual communication of inspiration! My very best wishes for continued blessing on your family! The story you share with us and the points you are making rings very true, as evident by the many comments posted. I agree with everyone and I have had more than one read through to get the message to stick internally as well. I wish you and your family the very best and hope that the coming year will bring much joy to all of you. Toby, you are awesome! You should also know that you have awesome parents that will share your teachings with us until you are able to teach us on your own. God Bless. Toby….The “world” should learn to live life the way you do. I’m sure it would be a much better world to live in. Thanks for teaching us “old people” some valuable lessons. You are a boy who brings great joy!! Hearing your stories keep me focused and inspired. Thank you for this wonderful gift. WOW! Until reading your article Ari, I never realized how much I take life for granted. Toby is awesome! He literally made me stop and give thanks for all the blessings in my life. Thanks to you and your family for sharing your ‘Guardian Angel’ with us and for opening my eyes to the miracles we are blessed with. Many more very, very happy birthday’s Toby. And, happiness always! There is a “Toby” in our lives too. His name is Brandon and he was born with Cerebral Palsy. He has been a gift from God. There is no one as genuine and gifted as him. He seems to know if you need a hug and when you hug him, you feel great. When you need someone, he is there to help. Whatever it was that convinced God we could care for a Toby or a Brandon in our lives, I am grateful every day for the gift. Thanks for sharing your story with us. Hug him for me and thank God for his treasure! Thank you for sharing your story with all of us. My mother taught intellectually handicapped children.. It helped me to understand how precious, special, how unique each child was, and learning not to judge others for within their own broken bodies, disabilities, inability to communicate ,they smiled through it all. 30 yrs later, I honor those memories and remind my children, to live in the moment, to treat others respectfully, and to throw all negative thoughts from their minds about ppl. You will have so many wonderful memories to build with Toby for he is a blessing . I was blessed with my own version of Toby in the form of my 7 year-old son Preston. 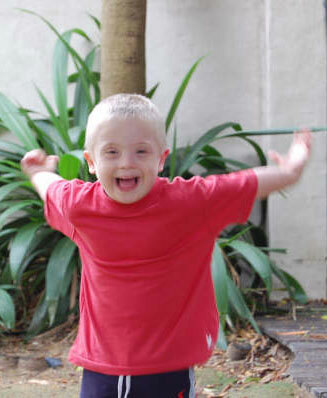 Preston is a non-verbal boy with Autism. Each and everyday he inspires me with the same types of lessons that Toby is teaching you, and you are sharing with us. Happy Birthday Toby, and God Bless all of us this Holiday Season. Happy 4th Birthday Toby! May God continue to bless you and your family as your inspiring life insights are shared with others. We are all different and have different abilities; having a gift to know the glass is always half full is a blessing. I hope your uplifting stories are shared with us for years to come. Holiday Blessings to all! Thank you, Ari, for sharing such a beautiful message. Lessons from Toby are truly inspirational, and came at a time when I needed to read them. We all need to be reminded of these lessons when the daily rigors of life slowly swamp us. Years after she told me that, I saw that man pushing himself on a small board with roller cycle wheels around the downtown streets of Chicago with what arms he had left. For many years I took the same route from the train station to work and saw him often. Then one day I read in the paper that he had passed away. He inspired me and I have never forgotten him. So when I get frustrated at something or feel sorry for my situation, I remember that my life could have been much more difficult. I could have been that man. Thanks again for sharing this with everyone. Just what I needed today. He sounds like a great kid with a great family. You’re a good person, Ari. Have a great upcoming year! AN ANGEL SENT TO BRIGHTEN AND ENLIGHTEN YOUR LIVES. MY WIFE AND I HAVE 7 ANGELS OF OUR OWN. WE ENJOY THE HAPPINESS THEY BRING US. YOUR A GREAT PERSON IN THE BUSINESS WORLD AND AT HOME. Great advice and great perspective. Happy birthday Toby and God Bless! We could all learn life’s lessons from Toby. How to pay attention to the person you are talking to and not think of a million other things at the same time. Toby teaches us that the most important thing in life is to slow down and enjoy life to the fullest. And the little children shall lead them… Merry Christmas and Happy Healthy New Year Toby! Great inspiration often comes from others who have the ability to see the best in everything. Thank you for sharing your gift. The world is a place of wonders but the greatest of all is yourself. Life is always both truly simple and vastly intricate simultaneously, we can all reach our full potential in our own unique individual ways – love, support and encouragement help us enormously to do that. In our mixed ability company we dance through life together and do whatever we can, together. I hope you will enjoy and be inspired by some of the photos in our photo gallery: http://www.indepen-dance.net . To Toby, thank you for your smile, may your days be long, your spirit strong, safe be your journey. Forget to live our lives authentically. Thank you so much for sharing Toby with us all. He is a blessing beyond measure for the wisdom and inspiration he is able to give others. You are lucky to have him, and, we are lucky to have you. Thank you for reminding us to take time to “smell the roses” and enjoy life’s treasures. you and your family are blessed by having Toby in your life. thanks for sharing him with us. I have been amazed at what my 47 year old developmentally disabled sister has accomplished over of the years. She participates in the Special Olympics regionally, state-wide and internationally. She enjoys bowling, swimming, track and field, and many other activities. I’m sure Toby will continue to amaze you for many decades to come. What a perfect message for the New Year. Slow down and enjoy the moment. We always tend to be so worried about getting to the future we totally miss out on the present and the joys we are meant to experience. Thank you Toby for being a teacher of Life’s Lessons. Love the Article, gives us some insight that you are truly a human being 🙂 Not just a Sales Guru!